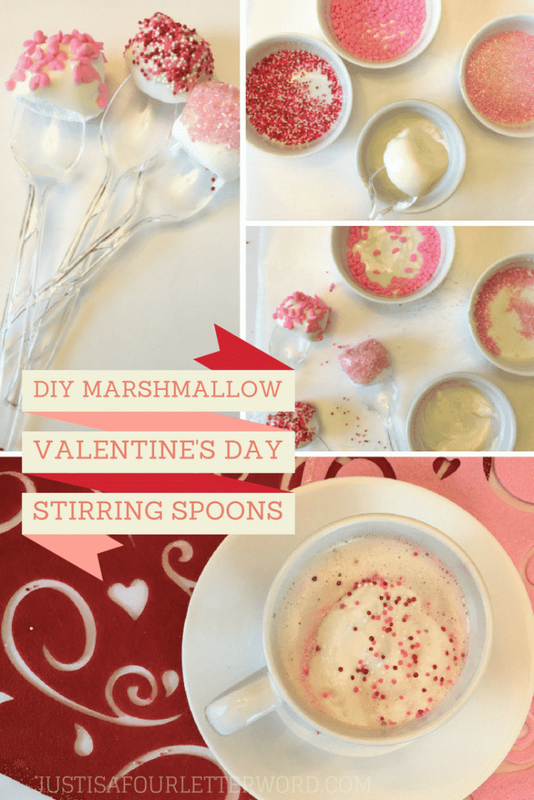 Make a batch of marshmallow stirring spoons to give to friends or teachers for Valentine’s Day. They are inexpensive and super easy to create. 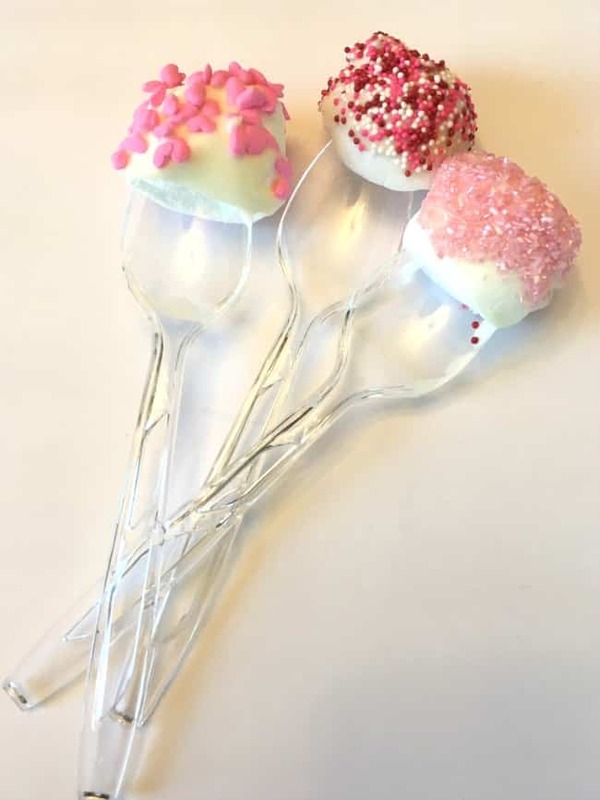 I made these little marshmallow stirring spoons for Valentine’s Day and I have to say, I’m pretty excited about them! 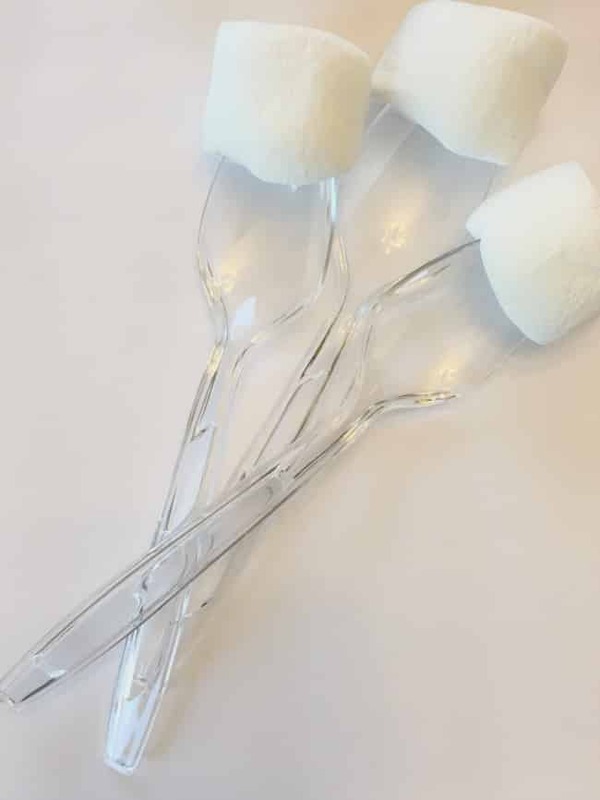 With Valentine’s Day right around the corner, you can make a batch of marshmallow stirring spoons to give to friends or teachers or to enjoy at home. The best part is they are inexpensive and super easy to make. Post updated from 2017. Originally sponsored by TruMoo. I always forget how cold it can be in the first few months of the year. 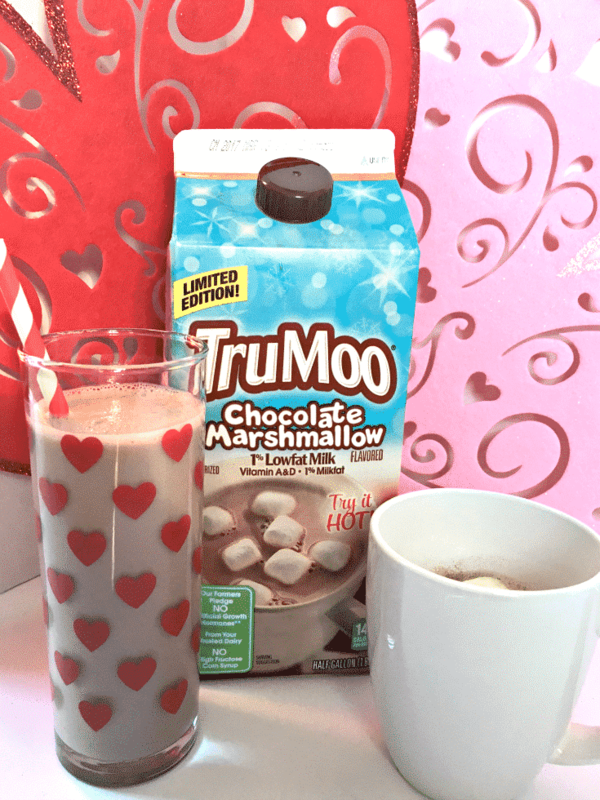 We’re big fans of hot cocoa, but I love that we can just heat up some hot chocolate for a nice warm treat. 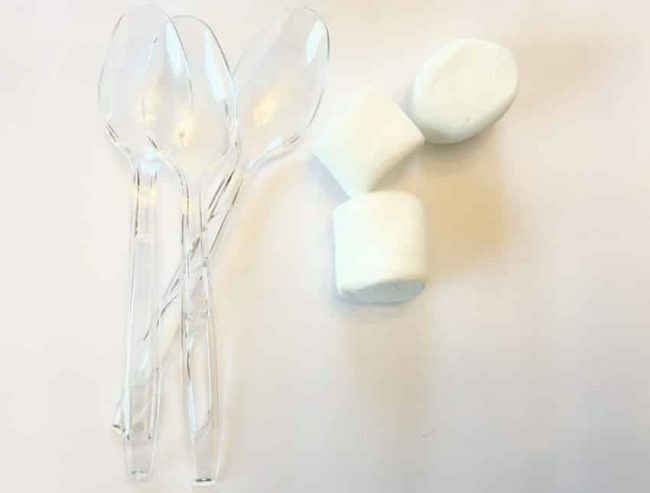 Making Marshmallow stirring spoons is such an easy project to do with kids or on your own. Make some for the family or as Valentine gifts. Either way they are sure to be well-received! Start with jumbo marshmallows and some plastic spoons. Push one spoon into each marshmallow and set aside. Prepare your candy coating by melting it in the microwave. I used white chocolate coating for these but you could choose dark chocolate or whichever flavor you prefer. You may need to stir occasionally until it melts completely. 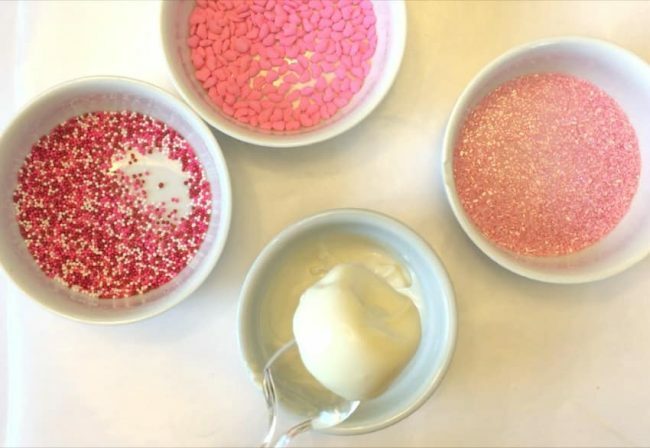 Note: if you are using candy melts, you may need to add a little shortening to help it along. Almond bark works just fine for this though and it’s super tasty! 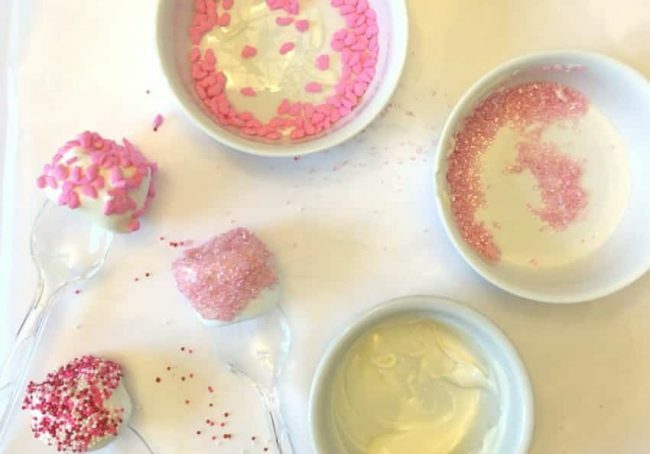 Once your coating is melted, dip your marshmallow stirring spoon into the coating and gently roll it with sprinkles until they stick. Let your coating harden by resting your spoons on wax paper. You’ll want to make sure they dry completely. If you’re in a hurry, they’ll set faster in the refrigerator. 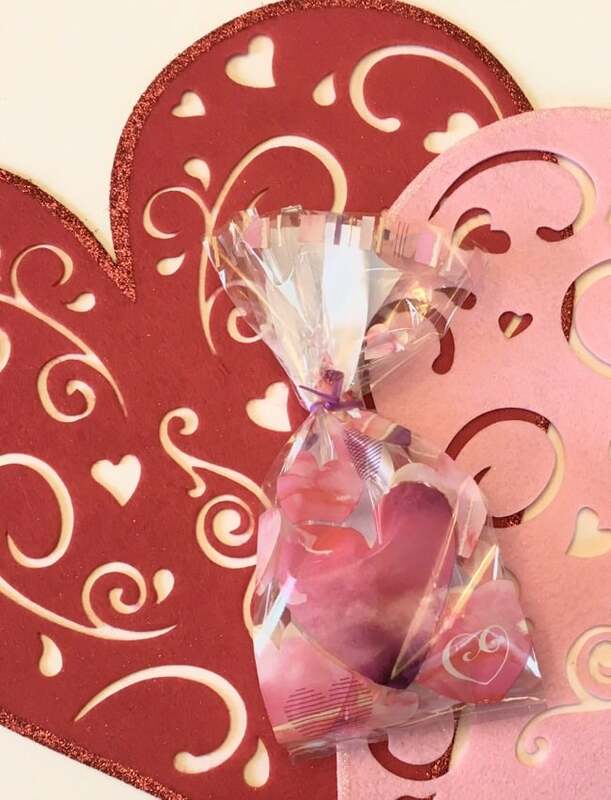 Once they are completely dry, package them up in cellophane and add your Valentine! That’s it! We love any excuse to celebrate a holiday with simple and fun ideas. 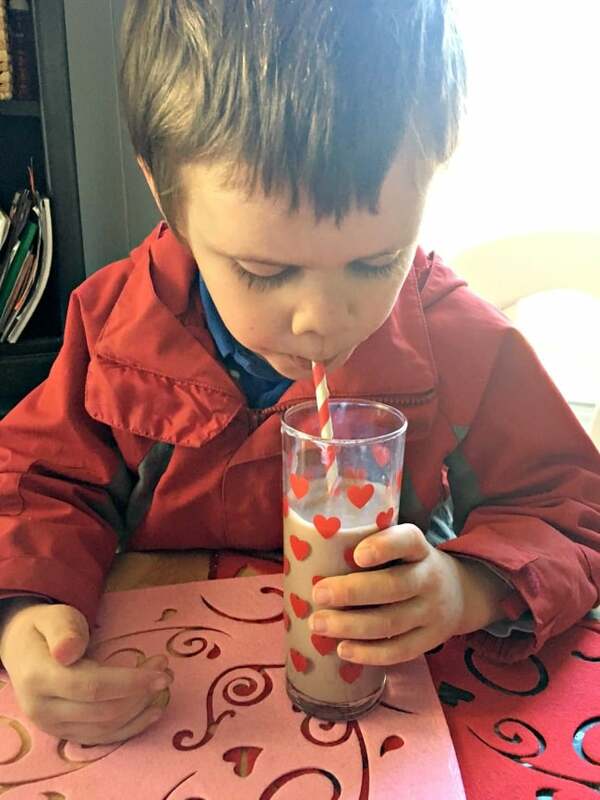 Check out some of my other Valentine’s Day ideas and share your own below!